Mission Shakti: Technology Demonstrator Or New Weapon In The Arsenal? The Project Shakti technology demonstrator brings out India’s latent capability to detect, track and destroy satellites in orbit. It is unclear whether this test was a one-off or the start of a formal ASAT programme. The March 27 test of an anti-satellite (ASAT) missile lofted India into an elite club of just three other countries which have demonstrated the capability to destroy orbiting satellites. The ASAT interceptor, launched by the DRDO from APJ Abdul Kalam Island in Odisha, successfully engaged an Indian orbiting satellite in Low Earth Orbit in a ‘Hit to Kill’ mode, i.e., a direct hit, rather than one using a proximity explosion to shatter it. Parked in the near-invulnerable sanctuaries of low earth orbits, satellites have enormous use as military communication, navigation — and surveillance aids. In the US, Russia and China — the only countries with proven ASAT capabilities — research is veering towards using them as 'kill' vehicles to disrupt other satellites. China, which first tested an ASAT weapon in 2007, has deployed multiple ground-ascent and ground-based laser weapons. A February 2019 Pentagon report warns of China apparently developing ‘sophisticated on-orbit capabilities, such as satellite inspection and repair, at least some of which could function as a weapon’. An ASAT capability gives India the power of detecting and tracking these suspicious ‘rogue satellites’ — besides speedily neutralising them. In that aspect, they are strategic deterrents which seek to deter first use by an adversary. The name of the test — Mission Shakti (power) — harked back to the moniker given to India’s 1998 nuclear tests. A perception was evidently reinforced by Prime Minister Narendra Modi breaking the news on national television an hour after the test. On November 5 last year, the PM announced another strategic milestone — India’s first SSBN, the INS Arihant, completing its maiden deterrent patrol. Just as the Arihant marked the operationalising a third leg of the nuclear triad, Mission Shakti marks a first but significant step towards fielding ASAT capability. “India now possesses the capability to strike targets in outer space with precision and accuracy in terms of centimetres,” DRDO Chairman Dr G Satheesh Reddy told news agency PTI after the test. The test was clearly a validation of the DRDO’s hypothesis that its ongoing anti-ballistic missile shield also had a latent ASAT capability — this fact was openly hinted at since 2011, when the DRDO had conducted multiple tests of interceptor missiles equipped with new technologies, like radio-frequency seekers and directional warheads capable of manoeuvring to strike incoming ballistic missile warheads. The March 27 test, however, used an all-new missile developed over the past few months under a new technology development project. 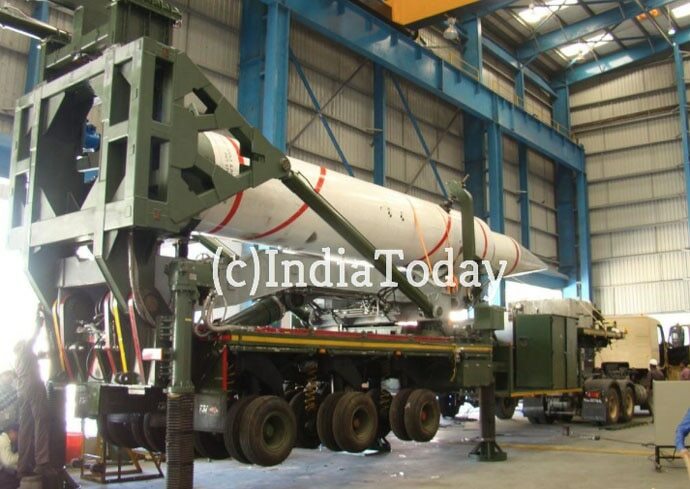 This project borrows elements from ‘Project AD’ — the DRDO’s Ballistic Missile Defence (BMD) project begun in the mid-1990s, aimed at protecting Indian cities from Pakistan’s newly acquired M-11 intermediate-range ballistic missiles (IRBMs). Project AD’s two-tier missiles were meant to intercept short-range ballistic missiles with endo-atmospheric interceptors and longer ranged IRBMs and ICBMs with exo-atmospheric interceptors. The acquisition of key technologies, like Israeli Swordfish Long Range Tracking Radars (LLTRs), in the early 2000s opened up a world of possibilities. Its 600-km detection range, since enhanced to over 1400 km, meant the DRDO could track satellites in Low Earth Orbit — the band of space extending 2000 km above the planet. BMD capability overlaps with direct-ascent ASAT systems — both use powerful ground-based radars and missiles to detect and destroy targets — ballistic missiles in their boost phase, or, as in the case of the ASAT, satellites in low earth orbit. With the velocities being equal, intercepting a satellite or a ballistic missile are equally challenging. An LEO satellite cannonballs around the earth at a speed of 10 km a second — roughly the same speed as a ballistic missile in its boost phase, climbing up into space. But ballistic missiles, unlike satellites, don’t have predictable orbits. 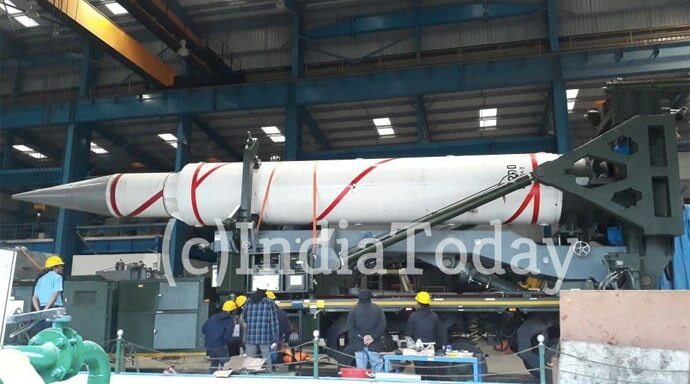 The sleek 14-metre-long ASAT interceptor fired on March 28 appears to be a derivative of the Prithvi Defence Vehicle or PDV Mark-II, a 1,000-km range Exo-atmospheric interceptor from Phase 2 of the project. The Mk-II interceptor, being tested since 2014, launches a kinetic projectile into low earth orbit which homes in on incoming warheads using an infra-red imaging seeker and destroys them with kinetic force. In an extremely significant milestone, the Mission Shakti test intercepted the satellite at 300 km, twice the range of the Phase-1 interceptor, first tested in 2006. The DRDO’s AD programme from where the Shakti was spun out of, however, is over a decade behind schedule. The system was to have been deployed with the IAF by 2012, but serious technological challenges mean that even Phase 1 of the project is nowhere on the horizon. The program has undergone multiple deadline extensions. Mission Shakti was only a technology demonstrator. The building of a full-fledged ASAT capability would call for an enormously expensive and distinct programme to develop advanced interceptors and radars which could track, detect and destroy satellites in orbits over 10,000 km. It is presently unclear whether the government will choose to walk down this path or let it remain where it is at present — a subsidiary of the long-delayed Project AD. It might be more realistic to assume that Mission Shakti might instead give the long-struggling Project AD a funding fillip and a life-extension.